Come join us this Saturday, March 7, 2015! Then, stroll next door to The Orange Peel for the 9pm show! 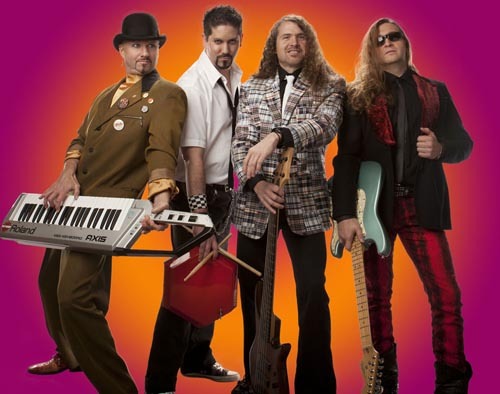 …the longest running, most recognized ’80’s tribute band in the United States. Formed in 1993, the group was the first of its kind. The mission was simple: create an entertainment group that embodied the enigmatic, creative, and buoyant spirit of music and live performances of the original MTV generation of the 1980’s. That mission remains today,” says the Orange Peel’s website! Click HERE for complete details at The Orange Peel. Who amongst us, aside from maybe Jimmy Green, doesn’t love 80’s music?? NO ONE! Previous Post Now! Friday, Feb 20 !